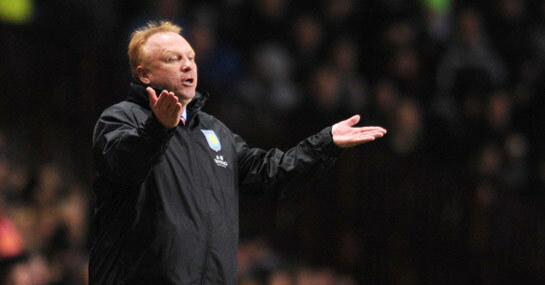 Poor performances have become relative commonplace at Aston Villa in recent weeks and with there being no sign that Alex McLeish will be leaving the club any time soon, 10/1 looks a big price in the Premier League odds that they are relegated. Punters should not be fooled by the club’s position in the top half of the table as Villa are only six points away from the drop zone and there seems to be a distinct lack of confidence within the squad. The two widespread problems that are a recipe for disaster are both prevalent within the Villa ranks as they are struggling to keep clean sheets and score goals at the other end. Their lifeless defeat at home to Liverpool, which follows other similar displays against Tottenham and Manchester United in the past month, have left the majority of fans despondent and already fearing the worst. Zonal marking appears to be to blame for Villa defending especially woefully from set pieces and this has led to numerous dropped points, with the club managing just a single clean sheet in their last nine Premier League games. Up the other end, they have failed to score in four of their last five and Darren Bent looks a shadow of his former self in attack given the lack of quality service being provided. The upcoming fixture list could only worsen morale in the squad as Arsenal and Chelsea are among the opposition to come before the end of the year and Villa could be around the relegation places for the second Christmas running. However, they had the creativity of Ashley Young and Stewart Downing to help them collect results last year, while the arrival of Bent in January from Sunderland certainly gave the squad a required boost. No such arrivals seem in the pipeline this January and there are even signs that Bent and some fellow first teamers will leave the club, especially with former boss Martin O’Neill likely to be interested in taking some of his former players to Sunderland. Therefore, things look bleak for Villa and there should certainly not be eight teams that are a shorter price than them to face the drop this season.